Matthew Ansell is a 2nd year Arts and Sciences student at UCL. Here, he shares his experience volunteering with CoachBright. As a volunteer with CoachBright I am assigned to work with a student, from a state school in the London area, for one term. My time coaching each student begins with a discussion of what they’re seeking to get out of the experience. This is driven by a focus on getting a place at a top university, but the actual focus of the program can take on many forms. For instance, in one session I helped a student to improve in mathematics while in another we worked on economics. While these objectives provide the underlying structure for the program every session is different, as you have to respond to the needs of your coachee. This has seen me go beyond just academic help to assist with applications for universities and other programs. I found out about CoachBright on the Freshers’ Facebook page. As with any new experience, before I started coaching I was somewhat uncertain as to how I would perform as a coach. Having only had limited experience tutoring in the past, which was with primary school students, working with students at such an important moment in their education was intimidating. However, thanks in part to the enthusiasm of my coachee, I quickly realised how much we could both get from the experience. Most of all I was struck by how much one on one work was able to help students clarify their objectives and progress academically. This realisation made my first experiences, and those that followed, exceedingly exciting. After a year of coaching I still just as convinced of the value of the experience. Seeing the students that my fellow coaches and I encountered progress so rapidly was incredibly encouraging. Moreover, the experience has led me to realise the importance of CoachBright’s efforts to address educational inequality. This has affirmed my interest in continuing to work with the organisation in the future. Taking on the responsibility of helping a student to progress at as important a stage in their academic lives as the A levels is undoubtedly a slightly intimidating prospect. However, while challenging this sense is what made the commitment and progress of the students that I worked with so rewarding. Thus, in my case I found that the best thing about volunteering was the sense of achievement you get from helping someone to succeed and maximise their potential. While rewarding, volunteering doesn’t come without its challenges. In my case I found that the most challenging aspect of the program was balancing keeping my coachee engaged while also meeting the objectives that we had set. This balance was crucial to the success of the program and while difficult to maintain it was extremely rewarding when I did. When I started working with CoachBright I had very little experience of coaching or tutoring in general. Thus, the program helped to teach me many of the skills necessary to succeed in those roles, such as patience, and forced me to become much more responsive when my initial plans didn’t work out. Just as importantly, coaching has exposed me to a problem that I previously didn’t know much about, educational inequality. This exposure to different issues has been one of the most valuable aspects of the experience. As with most experiences volunteering doesn’t come without a degree of self-doubt, as to whether you are achieving what you set out to. However, after a year of working with CoachBright, and seeing the progress of the students I met, I am confident that our team has made a difference. An important factor in me reaching this conclusion has been the one on one work with particular students that the program relies upon. This interaction, over the course of an entire term, has allowed me to witness the full impact of the program on my coachee. In this regard it has shown me the difference that my peers and I have made in helping our students to progress academically. Additionally believe that working with CoachBright has provided the students, whom I encountered, with a new source of information about applying to university and what life is like once they get there. In my opinion this is perhaps the most valuable contribution that we have made in that it provides an insight that many students hadn’t been able to get access to previously. Working on an issue like educational inequality, which is so relevant to an institution like UCL, has had a profound influence on my perspectives on my studies. Most of all it has given me a new appreciation for the commitment that so many lecturers show and the great education that we receive. Moreover, coaching students who are so determined to succeed has reaffirmed my own commitment to making the most out of my education and the resources that UCL provides. I would recommend working with CoachBright, as well as volunteering in general, to any UCL student. The experience is challenging but it is these challenges that make your efforts, and hopefully successes, so rewarding. Moreover, volunteering provides an opportunity to interact with people and to hear viewpoints that you might not otherwise encounter, which is something that I think we can all appreciate the value of. 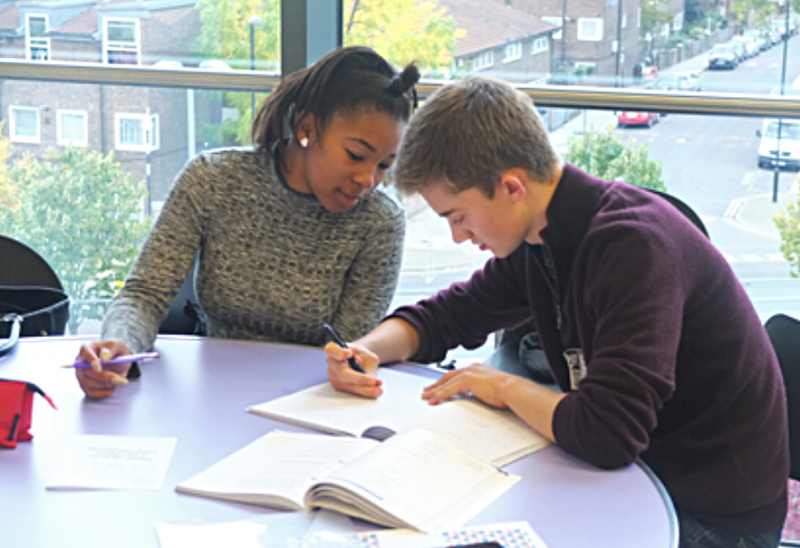 This article was originally posted on UCL Union's Volunteering Services Unit blog. Older PostCoachee Catch-Up with Jemmar!